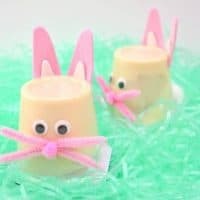 Bunny pudding cups are an easy, cute, and inexpensive Easter craft idea for the kids. Who knew that pudding cups had the amazing ability to be transformed into cute little Easter bunnies? 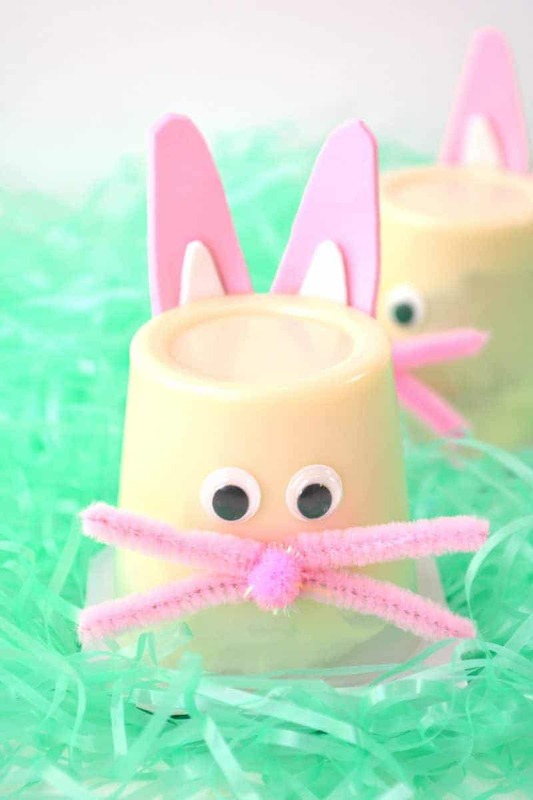 Easter bunny pudding cups are such a fun Easter craft to make together with your little ones. 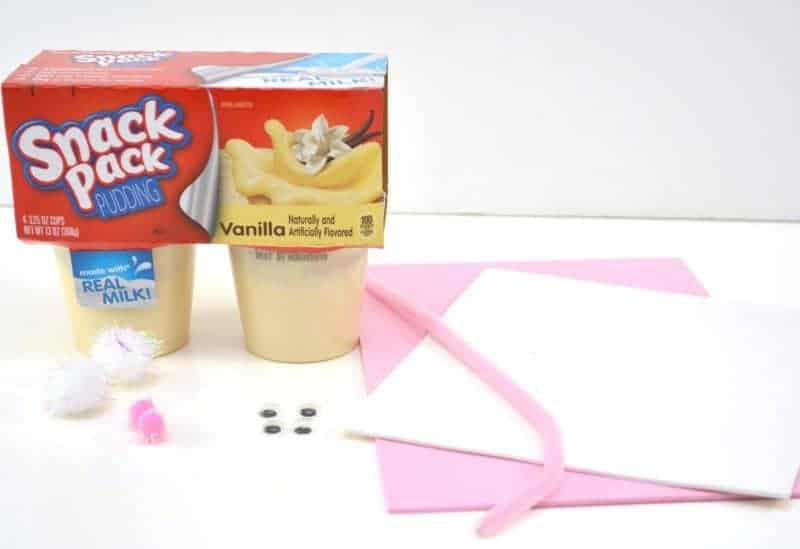 They’ll absolutely love eating their pudding up when snack time rolls around! 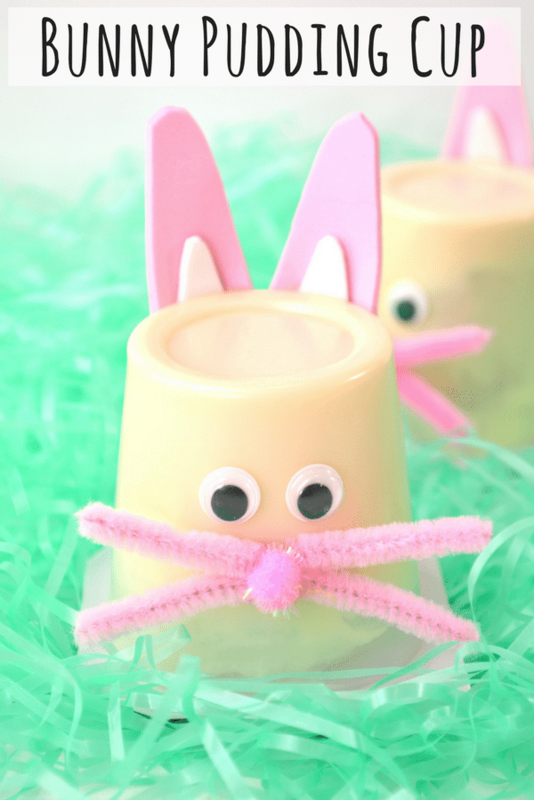 You’ll be able to put these bunny pudding cups together easily. 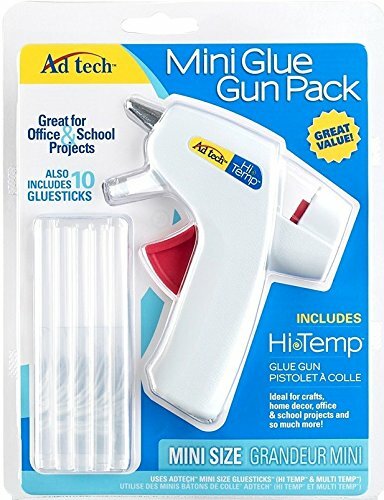 Best of all though, you should be able to find everything you need for this Easter project at the dollar store! This means that you can make a bunch of these pudding cups for very little money. If you are a teacher, this would be such a fun non-candy Easter treat to hand out to the students in your classroom. 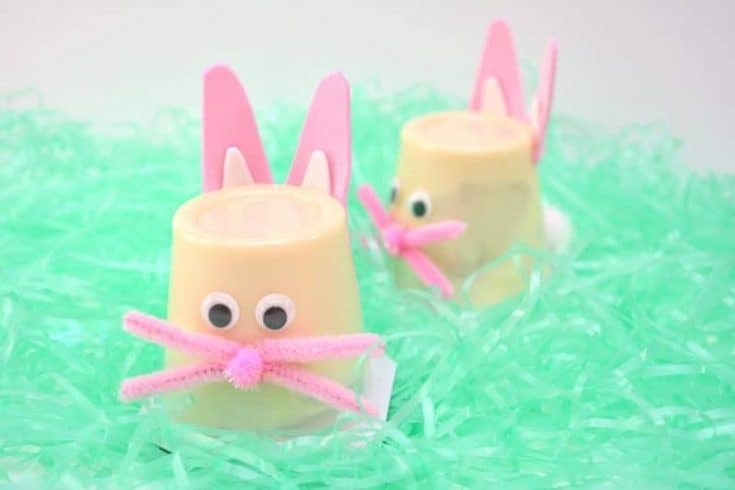 Or, you could have the kids make their Easter bunnies out of the pudding cups themselves. That way it would be a fun craft / snack combo! 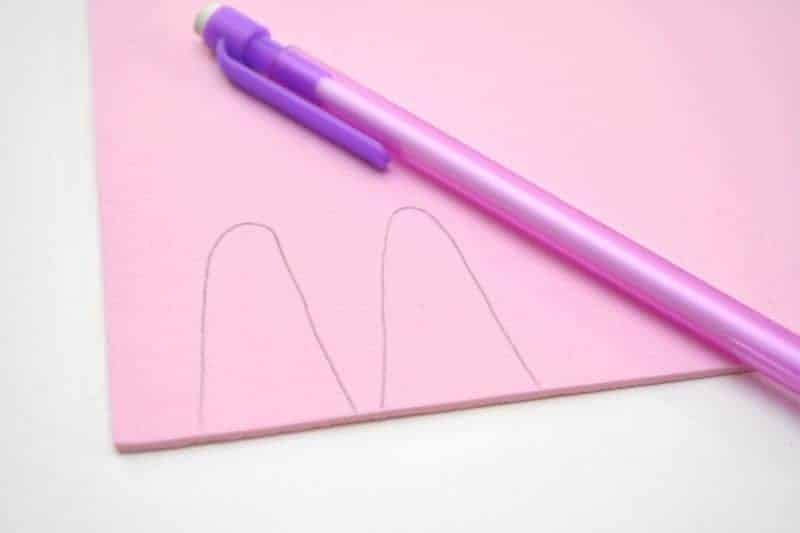 Begin by drawing the shape of two bunny ears on a piece of pink craft foam. 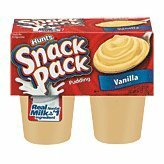 Use the size of the pudding snack cup for reference, and make the ears the shape of two tall rounded hills. Draw the same shape, only on a smaller scale onto a piece of white craft foam. This will be the inside of your bunny’s ears, so make sure that these shapes are small enough to fit inside the ones that you drew on the pink craft foam. 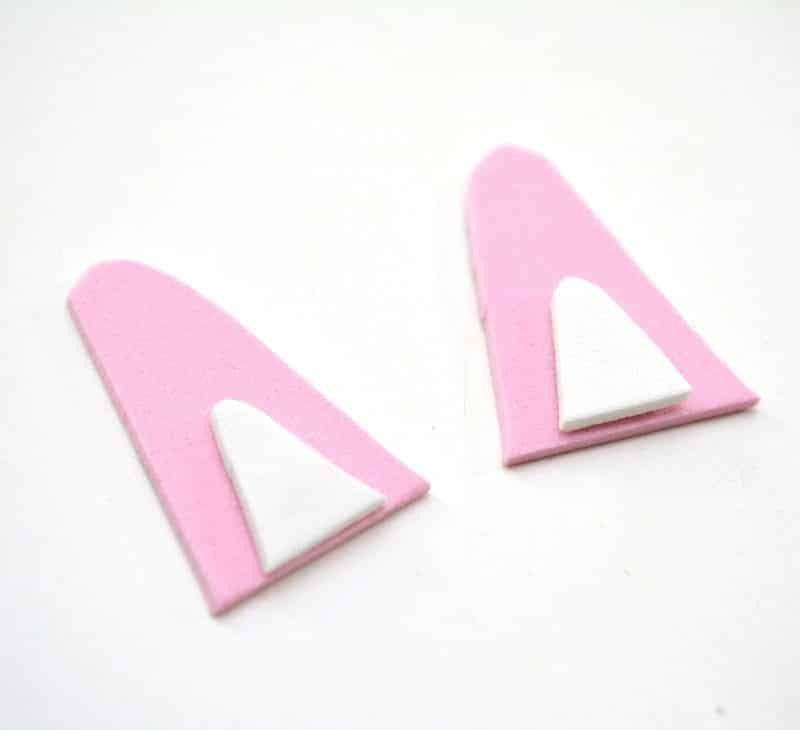 Cut out both the pink and the white craft foam shapes. 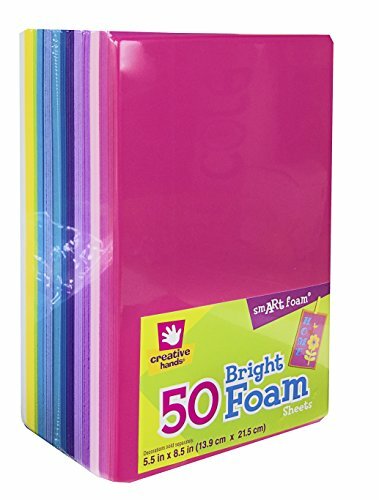 Glue the white craft foam shapes onto the bottom center of the pink craft foam shapes. 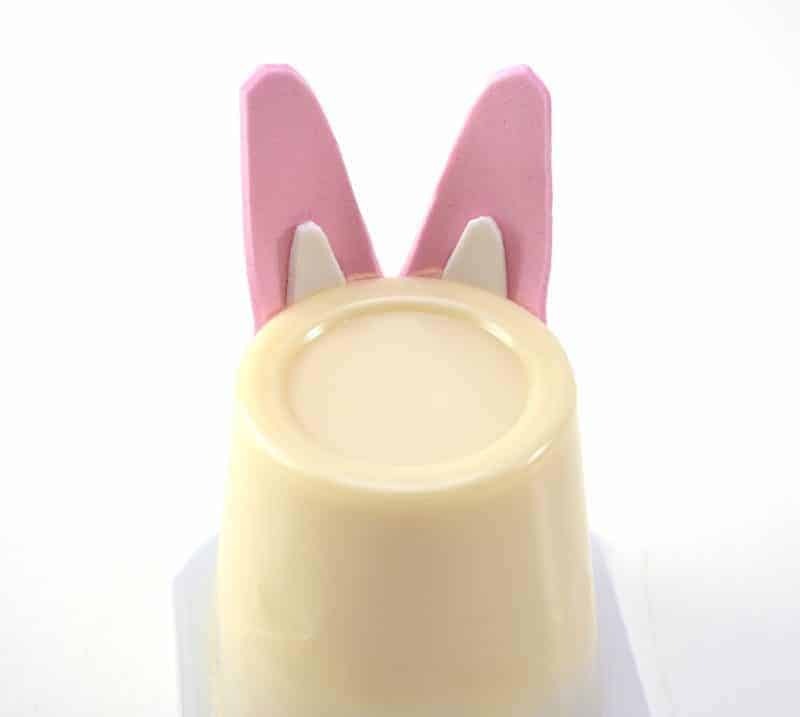 Using glue, attach your bunny ear shapes to the top of the back of a vanilla pudding cup that has been turned upside down. Glue a pair of googly eyes to the front of your upside down pudding cup. 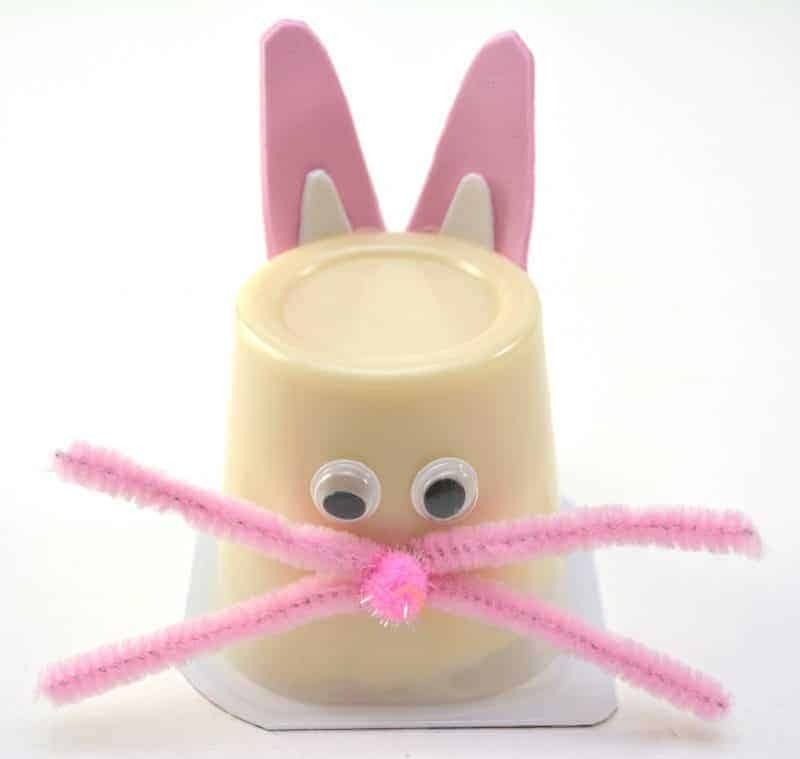 Attach a small pink craft pom pom to the front of the upside down pudding cup below the googly eyes, this will be your bunny’s nose. Glue a medium white pom pom to the bottom of the back of your upside down pudding cup, below where you glued the ears, this is your bunny’s tail. 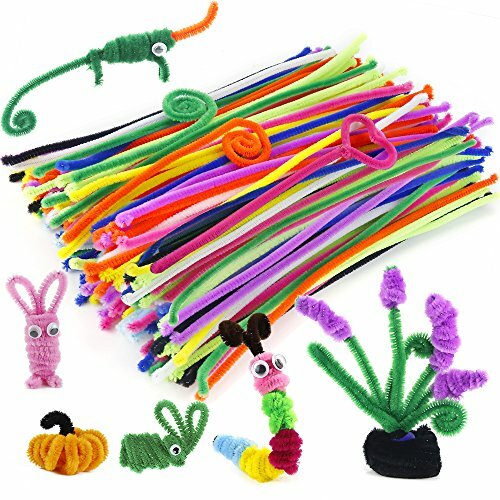 Cut a pipe cleaner into small equal pieces, about an inch long. 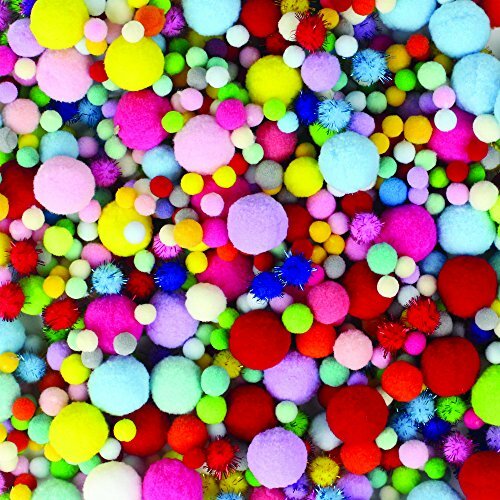 Use glue to attach two pipe cleaner pieces to either side of the craft pom pom nose on the front of the upside down pudding cup. These will be your bunny’s whiskers. I hope that you enjoy this fun Easter craft for kids — don't miss our other Easter ideas for little ones below! 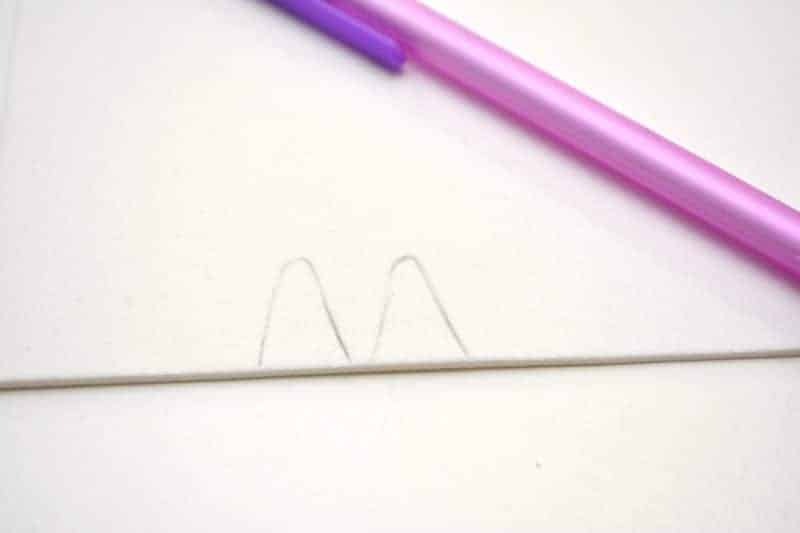 Using a pencil, outline the shape of two bunny ears on a piece of pink craft foam. Use the size of the pudding snack cup for reference. Draw the same shape, but on a smaller scale, onto white craft foam. 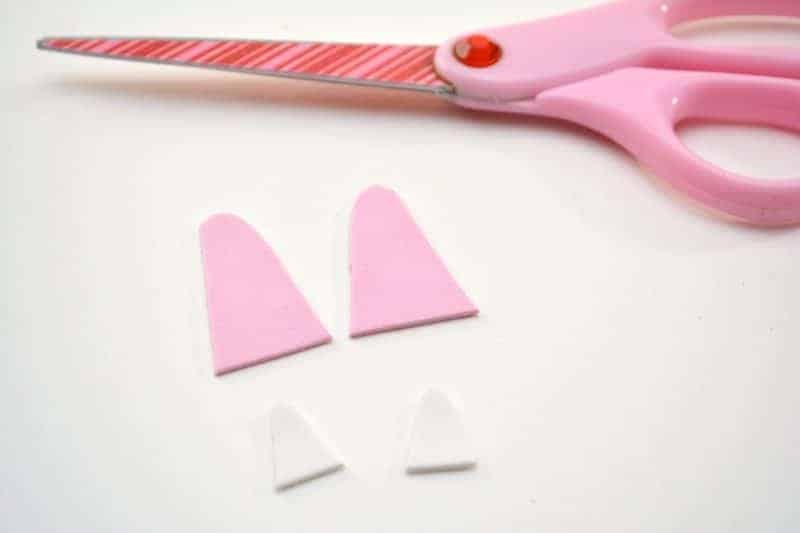 This will be the inside of your bunny’s ears, so make sure that these shapes are small enough to fit inside the ones that you drew on the pink craft foam. 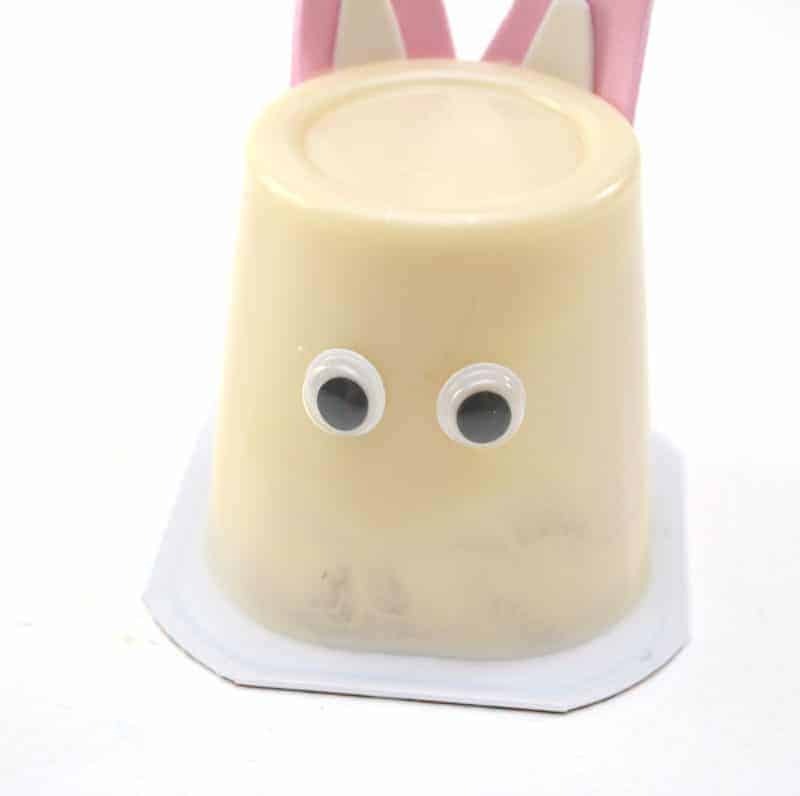 Using glue, attach the bunny ears to the top of the back of your upside-down pudding cup. 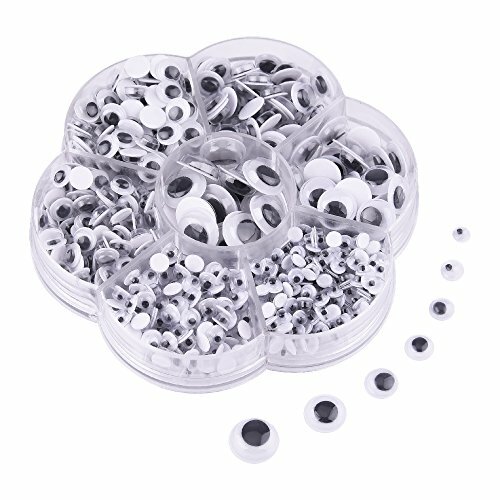 Glue a pair of googly eyes to the front of the pudding cup. 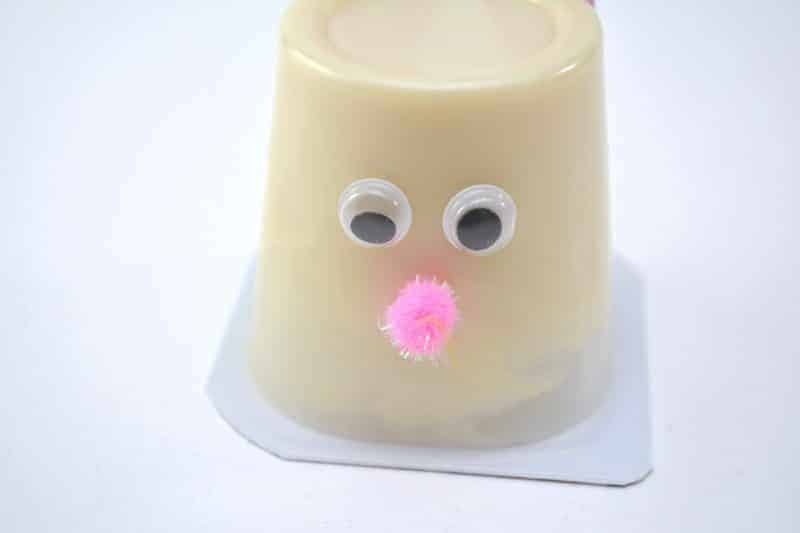 Attach a pink pom pom to the front of the pudding cup, just below the googly eyes. This will be the bunny’s nose. 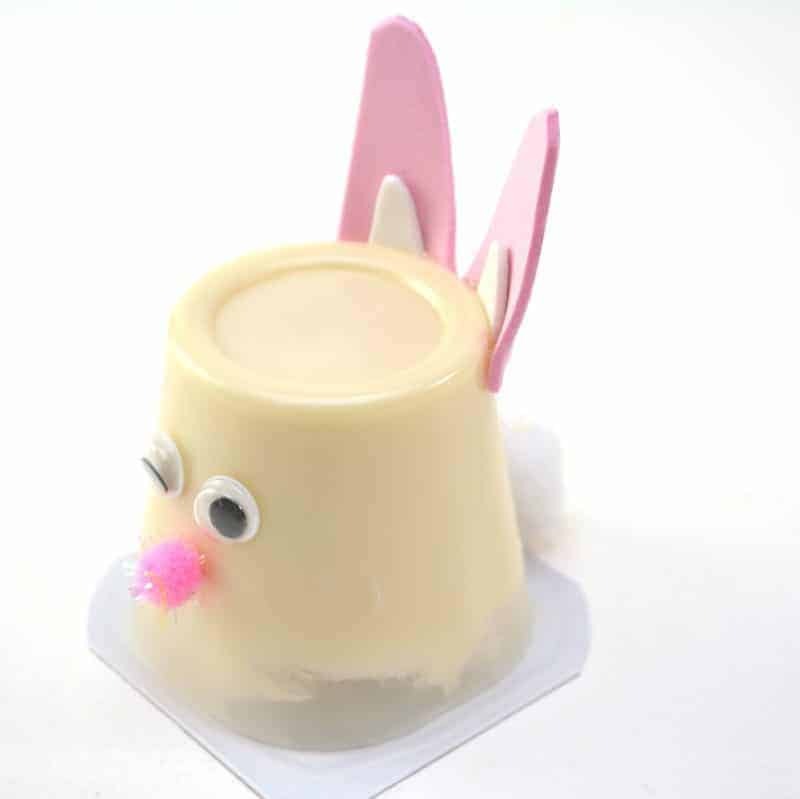 Glue a white pom pom to the bottom of the backside of the pudding cup to act as the bunny's tail. 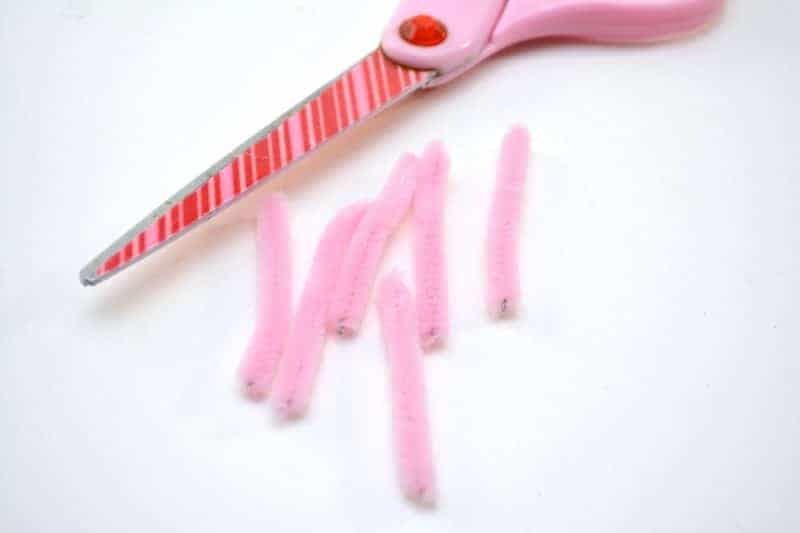 Cut a pipe cleaner into 4 equal-size pieces. 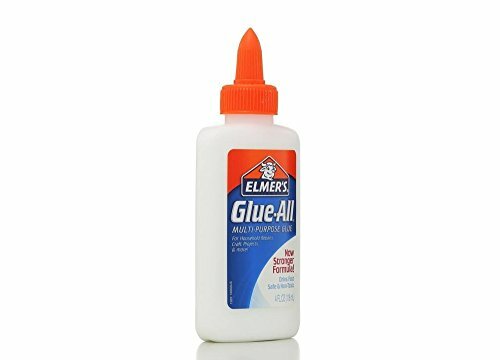 Use glue to attach 2 pipe cleaners to either side of the bunny's pom pom nose. These will be your bunny’s whiskers. This craft is super cute and really clever! I am going to make these with my little nieces.